The extensive Leo bedroom furniture collection is manufactured in the UK and delivered fully assembled. It is available in nine colour finishes (Bardolino Oak, Coco & Wenge, Driftwood, Ferrera Oak, Hickory Oak, Rimini Oak, Truffle Oak, Tuscany Walnut and Wenge & Coco). All wardrobes have hanging rails, shelves and mirrors (if required) as well as castors for easy positioning. All chests have metal drawer runners and castors. Order time is about 3 weeks and the quoted prices include free delivery and free old furniture disposal (if required). We have several pieces of Leo bedroom furniture on display in our showroom. The Leo 2 drawer bedside chest is manufactured with metal handles, extra deep drawers, bot.. The Leo 3 drawer bedside chest is shown in Hickory Oak finish with metal handles, extra de.. 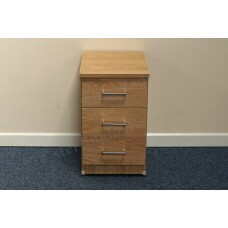 The Leo 4 drawer narrow chest is manufactured with metal handles, extra deep drawers, bott.. The Leo 3 drawer midi chest is manufactured with metal handles, extra deep drawers, b.. The Leo 5 drawer narrow chest is manufactured with metal handles, extra deep drawers, bott.. The Leo 4 drawer midi chest is manufactured with metal handles, extra deep drawers, b.. The Leo 3 drawer wide chest is manufactured with metal handles, extra deep drawers, b.. The Leo 3 drawer deep chest is manufactured with metal handles, extra deep drawers, b.. The Leo 5 drawer midi chest is manufactured with metal handles, extra deep drawers, b.. The Leo 4 drawer wide chest is shown in Bardolino Oak finish with metal handles, extra dee.. The Leo 4 drawer deep chest is manufactured with metal handles, extra deep drawers, b.. The Leo 5 drawer wide chest is manufactured with metal handles, extra deep drawers, b.. 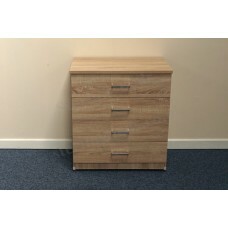 The Leo 4+2 drawer wide chest is shown in Hickory Oak finish with metal handles, extra dee.. The Leo 2 door double wardrobe is available in a choice of nine colour finishes (Bardolino Oak,.. The Leo 6 drawer twin chest is manufactured with metal handles, extra deep drawers, b.. The Leo 2 door 2 drawer double wardrobe (Gents Robe) is available in a choice of nine colour fi.. The Leo 3 drawer single pedestal dressing table set (dressing table, mirror and stool) is manuf.. The Leo 8 drawer twin chest is manufactured with metal handles, extra deep drawers, b.. The Leo 6 drawer double pedestal dressing table set (dressing table, mirror and stool) is .. The Leo 3 door triple wardrobe is available in a choice of nine colour finishes (Bardolino..